Exams can be stressful for teens whether they’re taking public exams for the first time or have conditional offers to meet for uni. It isn’t a lot easier as a parent, as you carry the weight of your kids’ worries and hopes too! Giving your child the tools to manage stress means they’re more likely to do their best come exams. A big cause of stress is feeling unprepared as exams get closer. If they’re feeling panicked, it’s even harder to concentrate and absorb the information they need to for each exam. The best way to combat this is by starting revision early on, so they store facts and understanding in their long-term memory where it will safely stay. While cheeky overnight cramming may have worked for single tests in the past, they need to remember much more for GCSEs and A Levels than is possible to stuff in the night before. Revision in the last days before exams should be exactly that – going over what they’ve already learned, not learning afresh. The Easter holidays are the best time to work out a revision timetable with your child, so they’ll know what to get down to each day and give equal attention to each subject. Even after the hols, having a structured plan works wonders to iron out indecision over what to do first. While everyone gets the urge to reach for deliciously salty and sugary snacks in times of stress, the ingredients in these foods actually increase anxiety. It may be easier said than done to limit your teen’s hunger for crisps and sweets, having balanced meals together with plenty of veg throughout revision time can make them feel calmer and more energetic. With this extra focus, they can power through the challenges that lie ahead in the coming weeks. 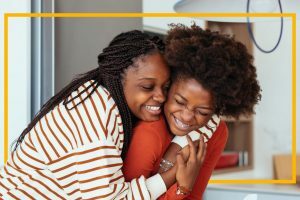 It’s hard to adjust everything in your life around your teen’s exam prep, but if possible it’s great to keep your home as calm as possible in the lead-up to exams. There’s nothing worse for an already-anxious teen than being distracted by noisy younger (or older!) siblings. If your child has a quiet corner of the house where they can study – either their room or somewhere else out of the way – it will be much easier for them to sit down and crack on with revision when they need to. A common reaction to stress is to find it hard to sleep – we’ve all tossed and turned at night worried about something before. The cruel thing, of course, is that being underslept then makes you even more stressed during the day. Tiredness also makes it harder to concentrate and remember new information, so it’s definitely to be avoided for kids who need to revise. To dodge this vicious cycle, you can help your child lots by laying down regular bedtimes. 8-9 hours at the same time each night will make a huge difference in their ability to deal with stress as the exam pressure grows. Encouraging your child to stop studying an hour or two before bed and winding down in that time will make it easier for them to drift off. Limiting their screen use before bed also helps the brain know it’s bedtime. It’s hard to find the balance between supporting your child and making sure they’re working hard enough, especially if they’re not keen on school. Let them know you support them no matter what and they’ll be less afraid of disappointing mum and dad and more able to focus on what they need to learn. Reminding your child that they’re more than capable of doing well if they try their best will give them a nice boost. Rewarding small achievements throughout exam time – their favourite meal, a fun day out one weekend – can also keep them feeling happy and confident as they charge towards exams. With MyTutor lessons, you give your child a one-to-one mentor who can help them through their revision step-by-step. 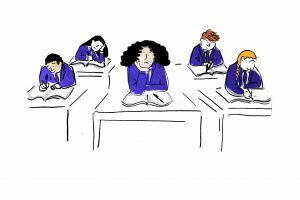 From working out a study plan, to going through each tricky subject topic, it’s becoming normal for more and more kids have a tutor to help them prepare for exams. Having gone through exams themselves in the past few years, our tutors relate really well to teens and give spot-on advice for exam technique and stress management. With these burdens lifted from their mind, your child can walk into the exam hall feeling calm, confident, and ready to ace it.